There aren't many firefighters around on a late day in January at the Grover Beach Fire Station No. 3, one of three fire departments that make up the Five Cities Fire Authority. There are only three people in the building, and one of them is reserve firefighter Jeff Lane. That day he was working alongside a fire captain and an engineer. All three crew members play a vital role in responding to emergencies. The captain supervises, the engineer drives the fire truck and handles its equipment, and the reserve firefighter works alongside the captain with any kind of fire emergency. CAUGHT IN THE MIDDLE The Five Cities Fire Authority struggles to maintain its firefighters and serve its communities—Arroyo Grande, Grover Beach, and Oceano. "The reserve firefighter essentially is the firefighter. It's not the extra person on the rig. It's the firefighter that shows up at your house," Lane said. A reserve firefighter not only plays a key role on the fire crew, but the position also helps fire departments meet the required staffing levels to adequately respond to emergencies within the community. As part of the reserve program, Lane doesn't work a set number of hours each week. He picks up shifts between all three departments. He's been with the fire authority for about eight years, two years as a full-time firefighter and six as a reserve making $14 an hour—which isn't enough to pay the bills on the Central Coast. When he's off duty, he scopes out Craigslist for construction or professional photography jobs to make ends meet. "Because I've stayed with the department, some of the other jobs I've held in the past eight years have been CPR instructor, surf instructor, I worked as a photographer in the Sears photo center, and I worked at Allegiant Air in Santa Maria putting luggage onto planes and fielding planes," he said. Lane isn't the only reserve firefighter that's feeling the strain when it comes to balancing his position in the reserve program and having enough money to support himself. 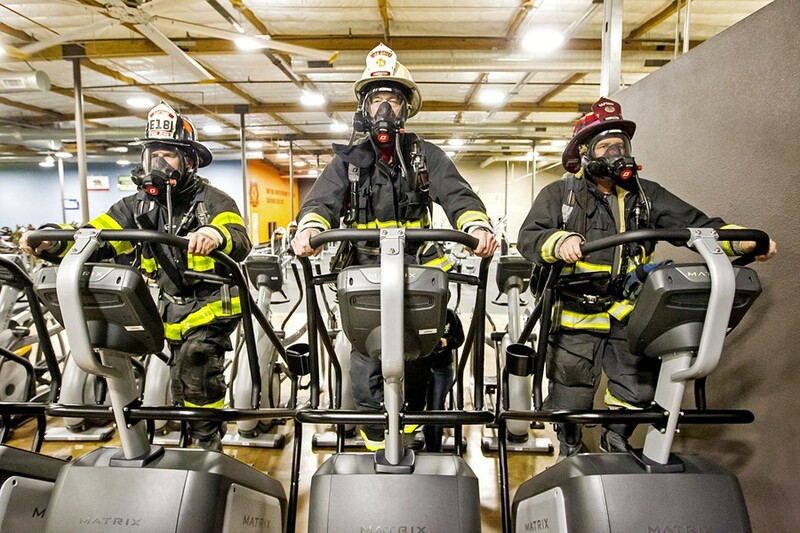 "We would rather be here [the fire department], so we try to be here as much as possible. But when it comes down to making half as much money, we tend to lean toward what we can do for ourselves and our families. Unfortunately putting food on the table comes first," he said. This predicament is something that fire departments throughout San Luis Obispo County are dealing with. Juggling how to retain reserve firefighters with the need to staff their stations is leading many to take a second look at their reserve programs and how they fund their fire departments. Cayucos barely hung onto its fire department for the past four years but recently decided to hand over its department to the county because the community didn't want to fund it the way it needed to be funded. The department is paid for through a special fire tax of $100 per household on top of property taxes, but it's not enough. TIP TOP SHAPE In order to become a career firefighter, reserve firefighters must complete as much training as a full-time firefighter with less compensation. In 2016, the community voted against Measure C-16, which would have raised the tax to $125 per residential unit. At a rate of four units per single family home, the fire tax would have increased by $500 per average household. 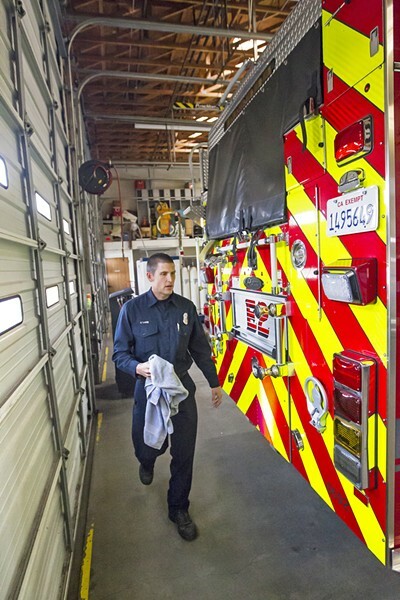 In June of last year the fire department's board voted, with plenty of opposition from the community, 2-1 to dissolve the fire department and turn it over to San Luis Obispo County. Currently Cayucos has filed an application to dissolve with Local Agency Formation Commission (LAFCO) and work on an agreement with the county on a contract that would benefit the town. Aside from the main goal of providing year-round fire protection for the town, Cayucos intends to negotiate keeping the department at its current location and maintaining its reserve firefighter program. Cities and community services districts throughout the county are weighing their options as Cayucos did, trying to figure out whether their reserve firefighter programs are adequately serving their respective communities and how to manage the costs of supporting growing populations, which are increasing the demand for services. The communities of Arroyo Grande, Grover Beach, and Oceano receive fire and emergency protection from the Five Cities Fire Authority. The communities signed a joint powers agreement in 2010. Prior to that, all three had separate all-volunteer run fire departments. 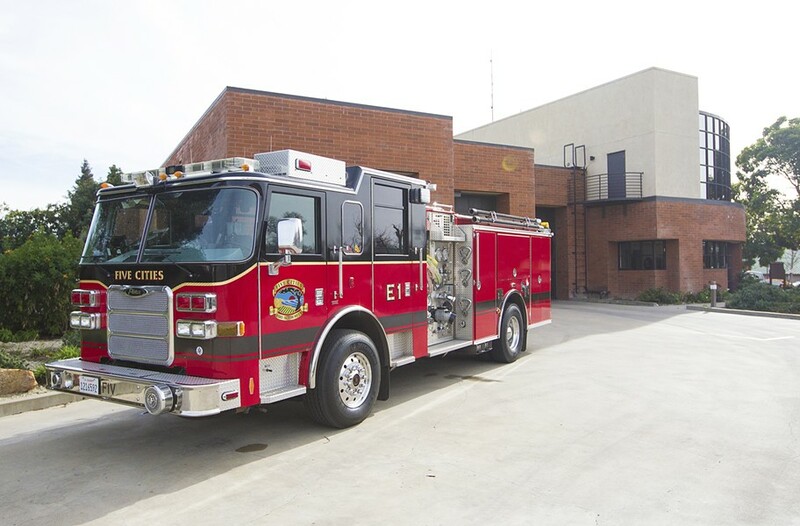 Oceano Community Services District (CSD) Board President Karen White said Arroyo Grande and Grover Beach eventually started sharing a fire chief and a training officer on top of the equipment that one had and the other couldn't afford. "They started sharing and working together because they couldn't afford two fire chiefs, two training officers, two air trucks," White said. Along with sharing equipment and relying on volunteer firefighters, the departments used a response model called boundary drop: the nearest available resource responded to the emergency no matter where it was with respect to city limits. During that time, Oceano was receiving fire services from a Cal Fire station in Nipomo, but White said that the community was experiencing response challenges. In 2010, Oceano joined Arroyo Grande and Grover Beach to form the three-agency department. Five Cities Fire Authority Fire Chief Stephen Lieberman said the departments changed from all-volunteer to having paid positions—a guaranteed firefighter in the station—because the population of the communities grew and emergency calls increased. "The days of working on Main Street in the community you sleep in and then running to the fire station to respond to a call is getting harder and harder," he said. "You can say, 'Well why did that happen?' Same reasons where we see ourselves today: call volumes increasing, availability of trained personnel is a challenge, and the aging population—because remember, this is a place where people can retire but they bring their big city service expectations." RESPONSIBILITIES Jeff Lane, a reserve firefighter for the Five Cities Fire Authority, must not only respond to emergencies but he is also responsible for the fire truck. While Five Cities Fire was efficient at providing service to all three communities, there has always been the long-term concern of adequately funding it. In light of the joint powers agreement, any budget decisions have to be approved unanimously by all three communities. The call volume for the Five Cities Fire Authority has increased by 4 percent over the last year and has been steadily increasing for the past several years. More and more volunteer firefighters either live or have other jobs outside of the community, which affects the time it takes to respond to an emergency. More importantly, relying on reserve firefighters isn't a guarantee that he or she will have the ability to be in the station for their shift. While there are a fire captain and fire engineer at all three of the Five Cities' stations, there are numerous unfilled reserve firefighter positions. Between December 2017 and the end of the fiscal year (June 2018), there will be 178 vacant firefighter shifts. The agency is filling those gaps by mandating off-duty full-time firefighters to work, but that means the agency will be paying those firefighters for overtime. Lieberman said he has the authority to call in career firefighters to work those vacant shifts, but he doesn't have that same ability with a reserve firefighter. "If one of the reserves has another job—most of them have multiple jobs—I can't make him come in. That job might pay more and he has a family to feed," he said. Because of this, Lieberman is proposing to transition the department from a career and reserve firefighters model to ending the reserve program completely and hiring three full-time career firefighters. The reserve program would be phased out over the next five years, but it would cost the communities. The fire authority's budget could increase by approximately 70 percent, according to plan estimates. Lieberman is making his way to the CSD board and both city councils to present his plan, which the municipalities have to make a decision on by March—just ahead of when they will be crafting budgets for the next fiscal year. Oceano Board President White said her CSD only has so much in its budget to allocate to the fire agency. It's one of the challenges particular to Oceano, which doesn't have the same revenue sources as cities. CSDs receive money depending on the services that they provide, such as fire, water, and/or sewage. They rely overwhelmingly on property taxes to fund their operating budgets. "I know we're going to come to a resolution because we're working on it, and I think that's probably the most important thing. We're sitting down talking together and talking individually to see what can be done," she said. Pismo Beach transitioned from operating a city fire department to contracting with Cal Fire for fire and emergency services in 2001. Cal Fire provides staffing and fire operations at Station 64 and Station 63, the two existing stations in the city. The stations are made up of state employees (Cal Fire firefighters) and reserve firefighters (city employees). Paul Lee, the current battalion chief for the department, said Cal Fire responds to every type of call that a city fire department would. "It's a state aid agency that has state resources, so instead of it being city employees, the department has state employees, and we provide a service based on what the City Council wants," Lee said. DIFFERENT COMMUNITIES The Templeton Fire and Emergency Services Fire Chief Bill White is working to fund a minimum number of firefighters to serve his community. He said the City Council has been concerned about Station 64's reserve program for the last three years. When the economy crashed in 2008 there weren't many open positions, so it was easier for the department to hire reserve firefighters and keep them for an average of four years. "Once the economy changed, it became difficult for us to hire a prospective reserve, put them through training, and have them available for very long. They would go take a job with Los Angeles County, Kern County, or San Francisco city that obviously has full-time positions that is going to pay a lot more," Lee said. 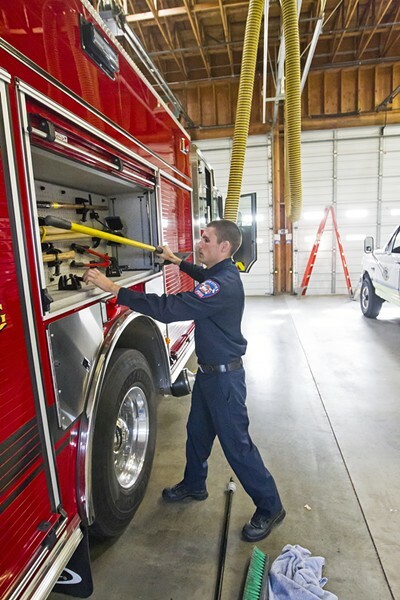 In April of last year, Cal Fire and the Pismo Beach City Council started looking into the cost of what it took to train reserves who weren't sticking around for the long haul. "It wasn't for lack of well-trained people; it was the high turnover rate. We just couldn't keep people long enough," he said. If the city kept the reserve program, the general fund budget for the 2018 and 2019 fiscal years would increase from roughly $2.2 million to $2.5 million (2018) and $2.4 million to $2.7 million (2019). The City Council voted to hire three full-time firefighters and phase out the reserve program in June of this year. "The city decided to hire more Cal Fire engineers to replace the reserve program so there would be a guarantee those positions would be filled," Lee said. "The reserve program was not a guaranteed staffing element every day, so now we have guaranteed staffing." Cambria's fire department is also feeling the strains of being funded through its CSD. Up to a year and a half ago, the department only had a full-time captain, a full-time engineer, a reserve firefighter, and a fire chief, William Hollingsworth. At that time, the department received a Staffing for Adequate Fire and Emergency Response (SAFER) grant, to fund three additional full-time firefighters for two years. That allowed the department to staff four positions rather than three. TRAINING Fire departments miss out when they can't hire their reserve firefighters. While the program benefits the reserves, departments are seeing a revolving door. This federal grant was created to provide direct funding that assists fire departments in increasing or maintaining the number of trained firefighters. The goal of the grant is to enhance the local fire department's abilities to comply with staffing, response, and operational standards established by the National Fire Protection Association (NFPA). "It's a very common practice to provide a higher, more appropriate level of emergency services to the community, but there's a sunset to it, it's only available for two years," Hollingsworth said. Last June, the district board approved the transfer of $84,000 from the general fund reserves to pay for firefighter salaries with the anticipation that the SAFER firefighters (funded by the grant) would eventually be hired as permanent full-time firefighters. Keeping those firefighters on would cost the CSD an additional $70,650 in salary costs for the last quarter in the 2017-18 fiscal year, as the the SAFER grant ends in March, and about $306,000 after that. To come up with the extra funds, the CSD would have to assess a special tax of $50 per household per year. Hollingsworth brought the issue to the CSD on Jan. 18. District Board President Amanda Rice expressed doubt as to whether that additional full-time firefighter was necessary to serve the community. "I remain unconvinced that the additional person and the three firefighters ... is not overkill for the community of this size," Rice said. Hollingsworth said having four firefighters on duty versus three means having a 25 percent faster response time, conducting search and rescue responses 6 percent faster, and it enables the crew to pump water out 6 percent faster when they're at a fire. The board unanimously voted to hold a special meeting on whether the district should consider approving a ballot measure to fund the three firefighter positions and allow the CSD to have enough to fund a fourth firefighter. If the ballot measure is approved, it would cost the district $10,000 to $20,000 to put it to vote in June. "The reason we're looking at this is because we're kind of an island up here. We're relatively removed from the rest of the county," Hollingsworth said. While the department has aggressive automatic and mutual aid agreements with other fire agencies, he said there's an automatic time delay in getting those additional resources to Cambria. Just north of Highway 101, the unincorporated town of Templeton is facing similar issues with its Fire and Emergency Services Department that serves the community of about 7,600. 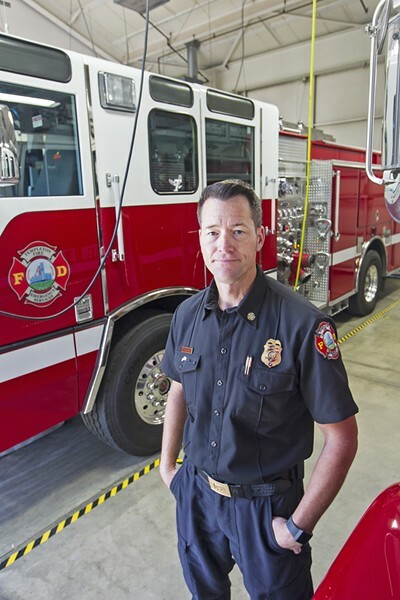 Fire Chief Bill White splits his time between Templeton and Atascadero, spending about 48 hours as a fire captain in Atascadero and about 20 hours as the fire chief in Templeton. He said his community's problem is not unique. 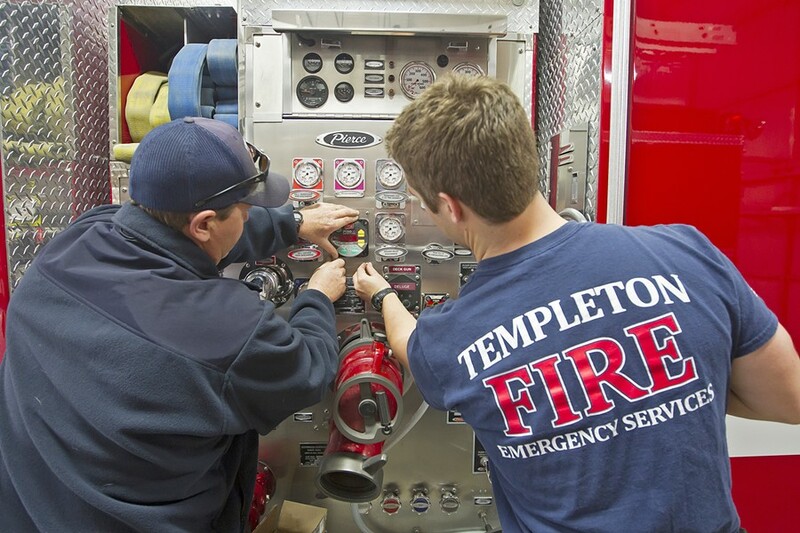 Similar to Oceano and Cambria, Templeton only gets a certain amount of funding allocated for their fire department. "We have one funding mechanism that's via property taxes. We're not like a city that we have sales tax. Although Templeton generates $1.6 million in sales tax that goes straight to the county," White said. One of the issues is an antiquated property tax allocation. The tax on property owners in Templeton is 8.4 cents of every dollar collected, which goes toward the CSD budget. The allocation was established when the district formed in 1976. Just three years later, Proposition 13 passed, which reduced property tax rates on homes, businesses, and farms by about 57 percent. It limits the amount by which the government can request to increase taxes. Now in 2018, the district is receiving the same property tax amount from the community. White said that he currently has a budget of a little more than $800,000 for his department and two full-time fire captains. One of the fire captains was paid for through a SAFER grant, which expired in 2016. Rather than lose that captain altogether, White changed the position from full time to part time. "We cut back on various other things as well, but I was able to save that position so that we still had a responder on that position every day," he said. SIDE HUSTLES When Jeff Lane isn't working for the fire department he picks up professional photography and construction jobs to make money. Another predicament that the department has is it can't currently provide service 24/7—it's only operating between 8 a.m. to 5 p.m. During the day, White has two full-time fire captains equipped to manage the fire engine with one paid call firefighter, who is paid for each call he or she responds to. They are trained to provide fire protection, emergency medical services, hazardous materials responses, and other services. He could switch to an alternative staffing scenario with one fire captain and two paid call firefighters, but it would still only be from 8 a.m. to 5 p.m.
"I cannot guarantee that the community of Templeton will have anybody here at night," he said. "It's almost like putting up an open and closed sign, depending on whether I have night coverage." To cushion that, the department implemented a nighttime per diem program in 2014, which paid two firefighters to stay at the station after 6 p.m. The firefighters are expected to be alert and ready to respond in the event of an emergency. In late 2017, White took the program back to the community services district board as it was effective in its first year of establishment, but the number of participating firefighters decreased in 2016 and 2017. The district approved a compensation increase, from $35 per day to $60 Sunday through Thursday and $70 on Friday and Saturday. However, if a house or a building is on fire in the evening, two firefighters aren't enough, according to the United States Department of Occupational Safety and Health Administration. There is a two-in/two-out regulation that must be met. The two firefighters inside the structure fire must have direct visual or voice contact between each other and direct, voice, or radio contact with the two fire fighters outside of the structure. White does have three paid call firefighters that can assist, but the response time isn't always as fast as it could be. "We do have a system in place that is very fragile because if we don't have someone available at night then I don't have an engine here," he said. The goal for the department is to have 24/7 coverage but that's going to take money. White said he wants to find other outlets to fund the department rather than having to go to the taxpayers. He started a grassroots campaign called the Friends of Templeton Fire and Emergency Services, which is currently just an email blast of documents and information.